Where should you eat and drink during this year´s ships festival? Please check out our official bar and restaurant partners. 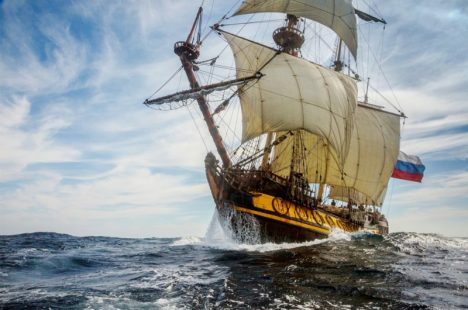 Stavanger is a food city of international calibre, where both locals and visitors can be sure to be served fresh produce from a wide range of dining establishments during The Tall Ships Races. This year’s festival has established links with a number of recommended places, and Project Manager Knud Helge Robberstad tells us that the response has been overwhelming. “We have already received several inquiries from visitors coming to the event, asking for recommendations for good restaurants, cafes and nightlife, and we are pleased that so many quality providers have lined up to be involved,” he says. 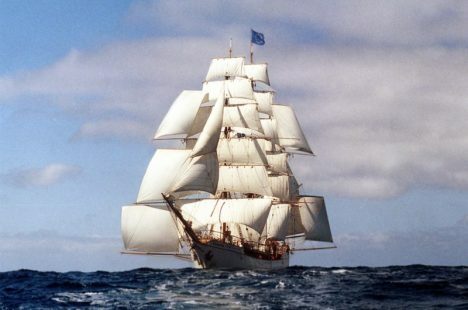 For the very first time, Fargegaten will be part of The Tall Ships Races. “We have two big stages in use during the festival. The main stage is beside the Concert Hall and the second stage is on the other side of the harbour at Tollboden. This means that we get a great cultural axis from the festival area to Øvre Holmegate,” says Robberstad. 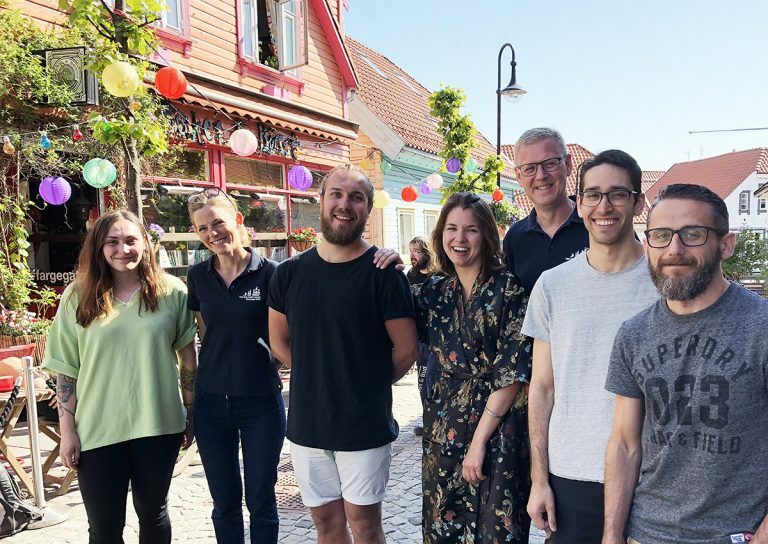 – Amy Middleton (Hanekam), Lena Antonius (Tall Ships Stavanger), Martin Nordbø (Circus), Elena Nicolaeva (Bøker og Børst), Knud Helge Robberstad (Project Manager Tall Ships Stavanger), Marius Berg (Finkel) og Kevin Clarke (Fribar) are ready for the Tall Ships Festival. 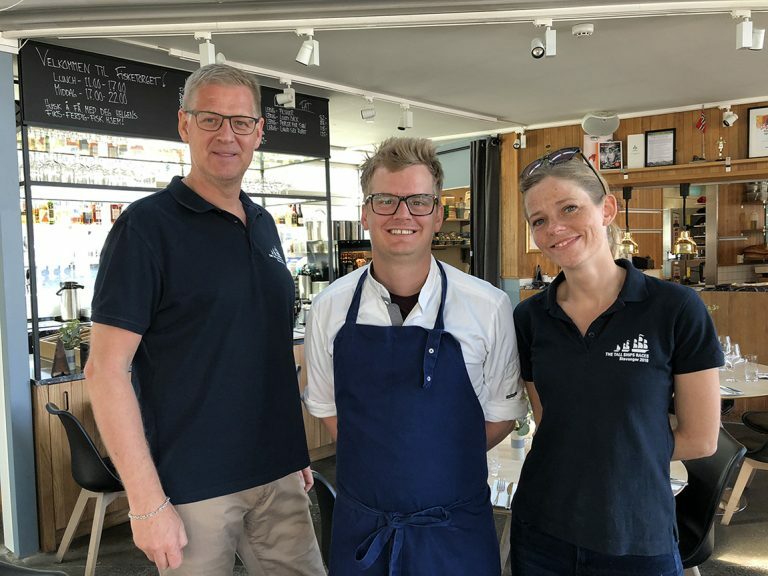 Lavrans Gjønnes, at Hall Toll, is also ready for an influx of visitors as Gladmat, Norway´s biggest food festival, takes place just before the Tall Ships Races. “I first came to the city in 1996, and remember well the ships festival in 1997. We are ready to party!” he promises. There is also Karl Erik Pallesen, at the Fisketorget (Fish Market). “We are centred right in the middle of the festival. Here you can sit back and enjoy yourself,” he says. Check out the list of ships! Join the ships on-board!